So we thought we’d write a post about it. Let us say, you contractor SHOULD do pretty much everything for you. So here’s a little checklist you can use to make sure you’re getting the most bang for your buck. Always start with online reviews. Give them a call, speak to them in person. MOST of these will NOT be done by most of the people you talk to. Often people will show up, do a quick job, leave a mess, cash your check and be on to the next job. These are often the cheapest bids you will get, plus they will be unlicensed (and often illegal). This is why people try to tackle this “to-do” list by themselves. NOTE: doing this on your own will often mean you’ll get taken advantage of by the sub-contractors, overpaying for their services. Also, if you don’t pull the proper permits, you can’t count your additions to your home when it comes time to sell it because it wasn’t properly done to begin with. Just protect yourself, find the right contractor for the job. If you’re looking at having work done, make sure they’re legitimate. Make sure they’re licensed and insured. Make sure they have good reviews, references and have been in business for a long while. Because you don’t want to take the cheap road, that shortcut will actually cost you more in the long run. There’s nothing worse than having to redo a job that was already started because you lose your money on the bad guys, then have to pay to have what they did undone and then redone. 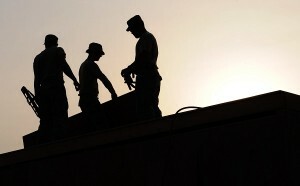 Pick the right contractor from the git-go and you should have a headache free experience. As always, if you have any questions, we’re happy to help. Just give us a call.